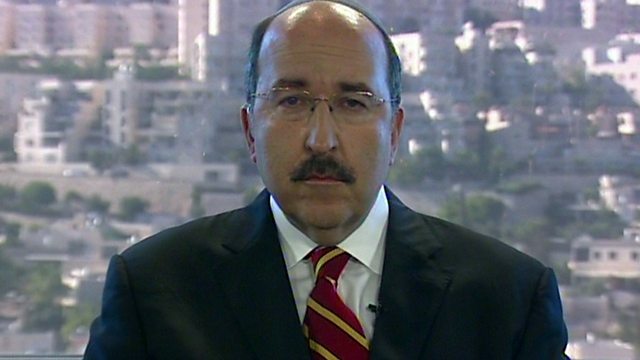 Zeinab Badawi speaks to Dore Gold, advisor to Israeli prime minister Benjamin Netanyahu, as tensions flare following the murders of Israeli and Palestinian teenagers. Zeinab Badawi speaks to Dore Gold, advisor to Israeli prime minister Benjamin Netanyahu, as tensions flare following the murders of Israeli and Palestinian teenagers. The killings have triggered protests and violent clashes in both Israel and the Occupied Territories and unleashed the heaviest rocket fire between Israel and Hamas for nearly two years. Israel blames Hamas for the abduction and murder of three Israeli boys whose bodies were found on the West Bank. Two days later, a sixteen-year-old Palestinian boy, Mohammed Abu Khdair, was killed in Jerusalem. Jewish suspects have been arrested for his murder. This latest crisis has exposed the abyss between the two communities - could it escalate into a wider conflict?